Jennifer recently left the Aquarium to focus her career on science and environmental writing. Here she presents a series of posts for us on the species of tuna that can be found in the Phoenix Islands Protected Area of Kiribati. 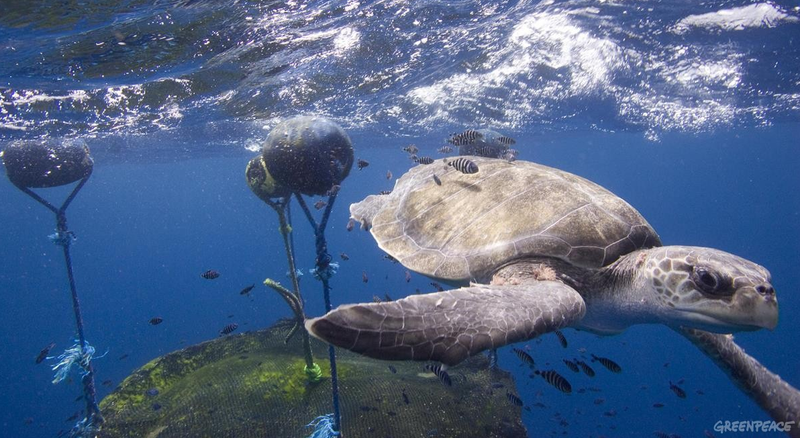 Today's post is about fish aggregating devices and bycatch. It’s difficult to talk about tuna in the western Pacific without talking about the explosion of fish aggregating devices (FADs) used by the purse seine fleet to catch them. There are two types of FADs—natural and man-made. Natural FADs could be logs or tree trunks that have floated into open waters from inshore areas, or palm fronds and beds of seaweed that clump together to form a mass. Man-made FADs are constructed by fishermen for the purpose of attracting schools of tuna. They are typically made out of bamboo poles fastened together in a lattice-like formation and covered with netting or dark plastic sheeting. Most have a component that hangs down into the water column that is made up of ropes or netting that helps to slow drift. Man-made FADs have become quite sophisticated and many are radar and sonar equipped, so that fishing vessels can find them easily, and captains can see the mass of fish underneath the to determine whether a trip to the FAD will result in a significant catch. For reasons that aren’t completely understood, skipjack tuna, juvenile bigeye, yellowfin tuna and other pelagic fishes tend to aggregate underneath FADs. They may stay associated with a certain FAD for a number of days or weeks. 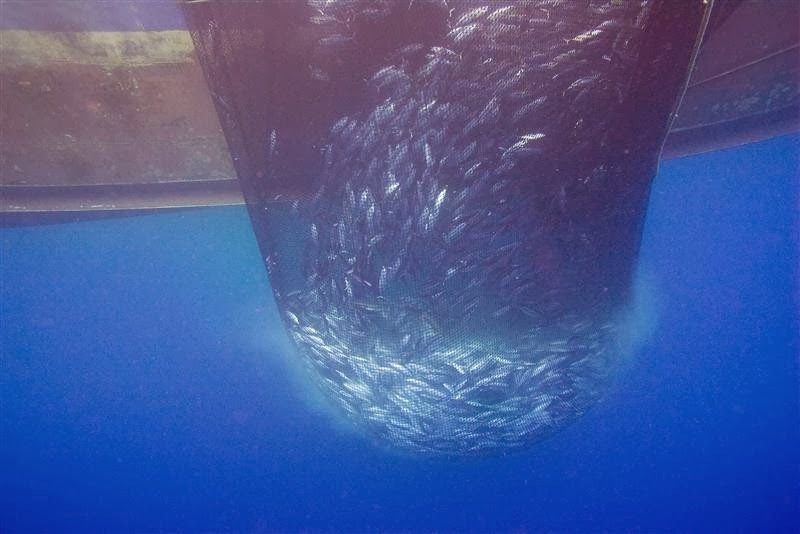 Because the incidence of mixed schools of tuna (including two or more species schooling together) are much higher at FADs, a purse seine vessel that catches a school of skipjack at a FAD is likely to pull up many juvenile bigeye or yellowfin tuna as well. Free-school sets, or sets made on schools of skipjack swimming freely and not associated with a FAD, are generally mono-specific, so a free-school set is likely to net only skipjack. Due to the ubiquitous use of FADs, and the sheer size and capacity of the purse seine fleet, the incidental catch of juvenile bigeye and yellowfin tuna in FAD sets is causing troubling population declines for these two species.